SolarEntarprise Ltd. offers photovoltaic parking system to protect vehicles from weather conditions combined with a production of electricity from solar radiation. The construction is intended and dimensioned to withstand the loads caused by snow masses and the wind flow and also complies with the construction site when achieving individual solutions is required. The natural slope of the generator part combines both: facilitating self-cleaning and a more optimum profitability that can be used for satisfying the necessity for local power supply and its submission to the electricity distribution network for the purpose of sale. 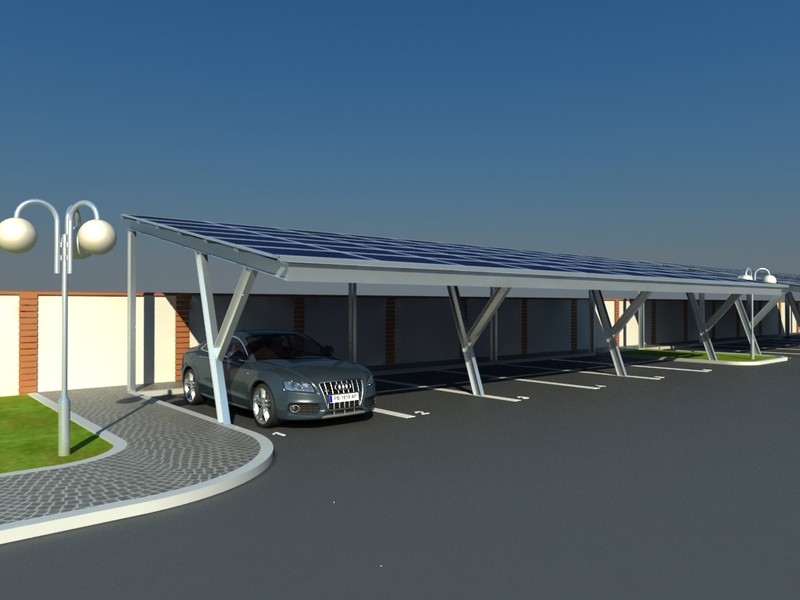 The solar parking lot provides an independent power supply by production of 100% green energy.